Your Kounta installation lives in the cloud and is maintained by pros, no more IT headaches and annoyances. And if your connection goes down, Kounta keeps running, ready to sync back to the cloud when service is restored. Kounta is a Point of Sale Software System that works on iPads, Android devices, Macs, PCs – even traditional POS equipment you already own. There’s no need to invest in equipment you’ve already got. Kounta seamlessly connects with many of today’s top cloud apps and services for your store. Take credit cards, Apple Pay or Paypal right from your touchscreen. Connect your sales data with Xero, take online orders with Boppl, and run top of the line loyalty programs with Collect Rewards. Kounta scales perfectly from one store, to as many as you can grow into. Management is centralised, though, with your product catalog, customers, and reporting all managed from a single interface. Add products globally and then price them per location. Spin up a new location in minutes, with all the products, stock counts, employees, and tax rates ready to go. Kounta is designed to make it easy to get running with Kounta to better run and manage your business. From setting up the POS terminals to the setup and configuration of the software itself, we have the skills and expertise to have you off and selling in no time. With initial guidance and ongoing support, you can be sure youíll get the most out of Kounta and manage your business like never before. 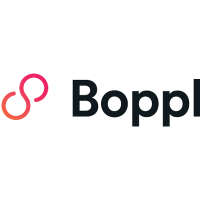 One of our favourite features about Kounta is it’s integration with the app ‘Boppl’. Want to reduce the length of your customer wait lines and improve the front of house efficiency? Get this app! 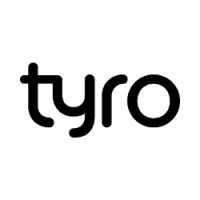 Tyro is an EFTPOS system that integrates seamlessly with Kounta. Very fast transaction times & low ongoing costs! When choosing the hardware for Kounta we looked at 4 things: Speed, size, cost & integration. iPads check all these boxes. Ask us why!